In case you missed it last week, your friendly neighbourhood application and chat tool, WhatsApp, released a PC based tool. 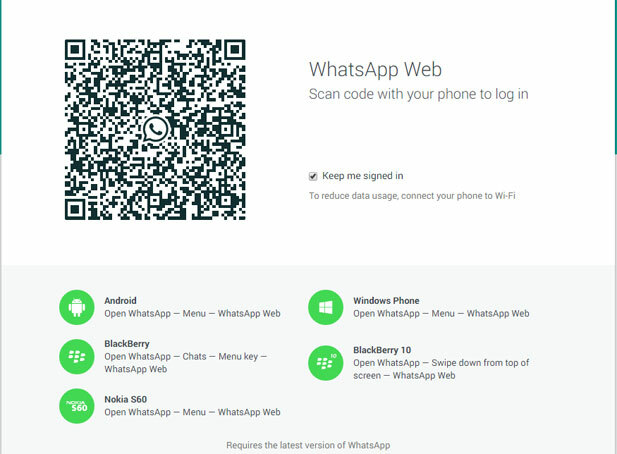 Called WhatsApp Web, it allows you to access the Instant Message (IM) platform from your PC as long as your account stays active and connected. Besides the cheers from the slew of people that can now exhaust their mobile network’s WhatsApp Bundles, or access WhatsApp from their computer at work without the distraction or offence of staying glued to their mobile device, this development has also meant that the Bluestacks workaround can be abandoned. The question is who was really hot for WhatsApp on their PC anyway? Well, added to all of the merits of ease of functionality, there are other benefits from WhatsApp Web that extend to people who churn out loads of content and communicate to a lot of people on the IM platform, especially for business. Ever since WhatsApp gained a lot of momentum as the primary source of communication for people with devices that support it, the mobile networks weren’t the only businesses tapping into it. Businesses and organisations have been taking advantage and sending product information and announcements to users whose numbers they have in their databases. We have a lot of entities , both large and small, relying on WhatsApp as a communication and feedback centre. It has been transformed into a marketing tool of sorts as well but it’s not all the corporates that have warmed up to the idea of WhatsApp communication or see the opportunity though. The ones that do include service providers, startups (have you heard of the Techzim WhatsApp Groups) and even government related agencies (check your local police station) that are now realising that this is one way most people will send information through to them. Likewise, they can then send information back the same way. All this is fairly easy to do when you are just communicating with text, which as it stands, is easier to type out via PC. If however you need to harness the full potential of WhatsApp and send out multimedia content (think of videos, audio clips and images) the distribution via your mobile isn’t such a smooth experience. There is always the hassle of optimising content for Instant Messaging, particularly in terms of file size. You’d have to do this on your PC and then transfer the file back to your mobile device. All this is because of a 15MB file size limit that unofficial versions like WhatsApp Plus had managed to figure out and beat. With WhatsApp Web everything is done on your PC, with easier access to files from a PC that almost always carries more content. Whatever you send is delivered instantly and thanks to features like notifications for delivery and read messages like the blue ticks you can followup on who hasn’t seen your latest communication. For businesses or startups involved in multimedia creation, the promotion of video and audio content and viral marketing campaigns WhatsApp and the bundles from some of the Zimbabwean mobile networks have been a dream come true. Now with WhatsApp Web their tasks have just become a lot lighter. In all of this however most people forget that as much as WhatsApp is perfect for these things it wasn’t originally designed as a mass marketing tool. The instant Message company will block you, suspend you or ban you from accessing it if you turn it into such. The last thing you would want is to lose access to your current and potential clients, suppliers and business contacts just because you didn’t read the fine print. A run through the WhatsApp Terms and Conditions shows hows how the platform does not allow sending messages to users that don’t have your number in their phone book or sending unsolicited messages or spam or submitting unlawful content. Even if you have the original version of WhatsApp a violation of these terms will result in a temporary ban and if the offence is committed repeatedly this could be extended indefinitely. With all the bans issued last week and the reinforcement of rules around its platform if you are using WhatsApp or its web version you still need to follow through on what is specified about its usage policy and also have a backup communication platform for your business. While you enjoy the multimedia function of Instant Messaging just keep that option for Bulk SMS communication close.